The multimission processing of altimeter data was developed by CLS as part of DUACS (Developing Use of Altimetry for Climate Studies), a European Commission 3-year project which started in February 1997. 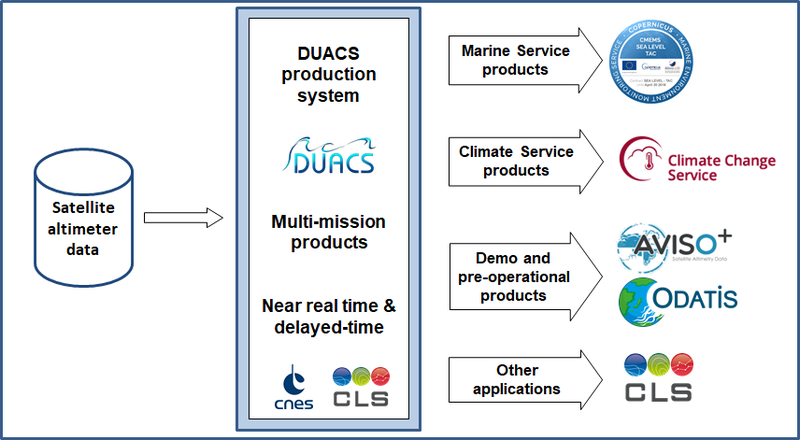 DUACS was a shared-cost project, part-funded under the CEO Program of the Environment and Climate. DUACS demonstrated that altimeter data can be processed both in Delayed time (DT) and in near-real time (NRT) with sufficient accuracy to help improve the skill of climate simulations. Since the end of the original project, the NRT and DT components have continued to serve operational oceanography and climate forecasting projects. The system has been redesigned and significantly upgraded as the knowledge of altimetry processing was refined and as the oceanography needs evolved. Renamed with the same acronym (Data Unification and Altimeter Combination System), it had been integrated to the CNES multi-mission ground segment SSALTO in 2001, and it was maintained, upgraded and operated with funding from CNES with shared costs from EU projects until May 2015. The data had been distributed through Aviso from 2003 to 2017. Since May 2015, the whole processing, the operational production and distribution of along-track (level 3) and gridded (level 4) altimeter sea level products has been taken over by the European Copernicus Program (http://www.copernicus.eu/). Sentinel-3 L3 products are processed on behalf of EUMETSAT, funded by the European Union. 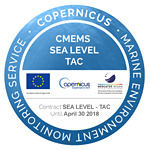 The Copernicus Marine Environment Monitoring Service (CMEMS) provides regular and systematic reference information for the global ocean and the European regional seas. Satellites products are delivered in near-real time and also delayed-time and they focus on the best estimate and sampling of the ocean at each moment. The Copernicus Climate Change Service (C3S) responds to environmental and societal challenges associated with human-induced climate changes. The service will provide access to several climate indicators (e.g. sea level rise) and climate indices for both the identified climate drivers and the expected climate impacts. This service delivers DUACS delayed-time sea level products focused on the homogeneity and stability of the record. The system is also used for the production of demonstration and pre-operational products for CNES/AVISO. 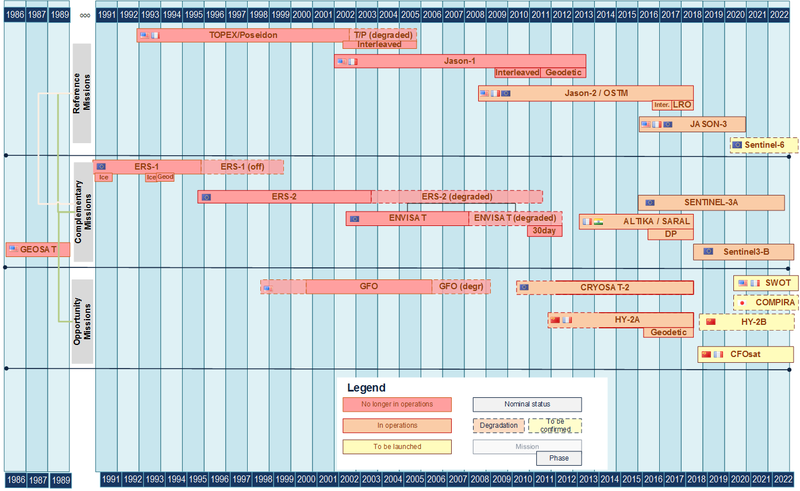 The measurements of the different altimeter missions are provided by different space agencies. Calibrated and validated L2P data are produced by the DUACS system. Different level 3 & 4 sea level products are then produced and can be accessed through several portals for different types of applications (see DUACS products and processing steps). The altimeter sea level products distributed by the Copernicus services benefit from regular upgrades thanks to the R&D performed at different levels (e.g. CNES, ESA CCI) which makes them up-to-date products.